Going on a diet has to be one of the most popular resolutions and it is seemingly a healthy choice. However it is important to think about how your diet might affect your teeth, especially some of the more extreme diets around at the moment. This particular diet may actually help your teeth through lowering your risk of tooth decay as it reduces the amount of sugary and carbohydrate rich foods eaten. However some people find they have acid reflux after eating too much protein, and this can bring up strong acid from your stomach, allowing it to wash over your teeth and increasing the risk of acid erosion. In addition there is the risk of developing bad breath on a high-protein diet due to the gases produced by your stomach. This is also called the caveman diet and revolves around trying to eat in a way that is similar to our ancestors. In some ways this can be a good thing for your teeth as it removes heavily processed foods that can be high in sugars which is obviously good news for your dental health. However this diet doesn’t contain any dairy products which are packed full of essential vitamins and calcium. 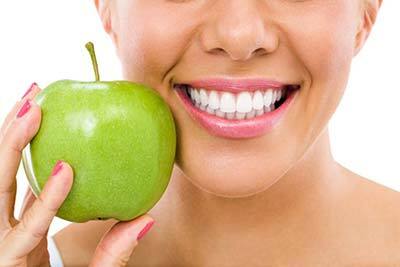 It’s worth considering if this diet will offer all the vitamins and minerals you need for healthy teeth and gums. This is another popular diet around at the moment and focuses on fasting for two days a week while following a normal diet for the other five days. This is by no means a bad thing, that it’s important to make sure that you don’t eat too much sugar during the five days of normal eating. Fasting isn’t really a good idea for those suffering from diabetes as it will obviously play havoc with their blood sugar levels. Diabetics are already more at risk of developing oral health problems so this one is probably best avoided if you are insulin dependent. The alkaline/acid diet focuses on separating different food types and making sure you don’t eat them together during one meal. This would mean you couldn’t mix protein and carbohydrates but instead should stick to eating the same type of food during one meal. On the surface this might seem quite healthy, as you could end up with a meal that consists of a large bowl of fresh fruits, but it’s worth rethinking this one as eating a very acidic meal can speed up tooth enamel erosion, particularly when you are eating just one food group at a time and there is nothing to dilute the effects. One of the problems with all the healthy diet plans around at the moment is that they only focus on general health and do not consider the effects on your dental health. When contemplating any type of extreme diet that cuts out or which increases one or more of the major food groups, it’s worth just pausing for a bit and thinking about how it might affect your teeth. You can also ask any of the dentists for dietary advice. One of the advantages of getting advice from your family dentist is that it will be customized for your particular dental health needs, so hopefully, you’ll end up with a healthy mouth as well as a healthy body. Would you like to find out more about your healthy diet options? Come to Century Medical and Dental Center (Downtown Brooklyn, Gravesend, and Flatbush) and speak with our dietitian today.